Smoothies are a tried and true favorite in Alabama. At times, they’re the perfect pick me up on a warm spring or summer day, offering a refreshing bit of health you can enjoy on the go. Other times, they’re an entire meal that combines all the fruits, veggies, and power foods you need to get through your day. 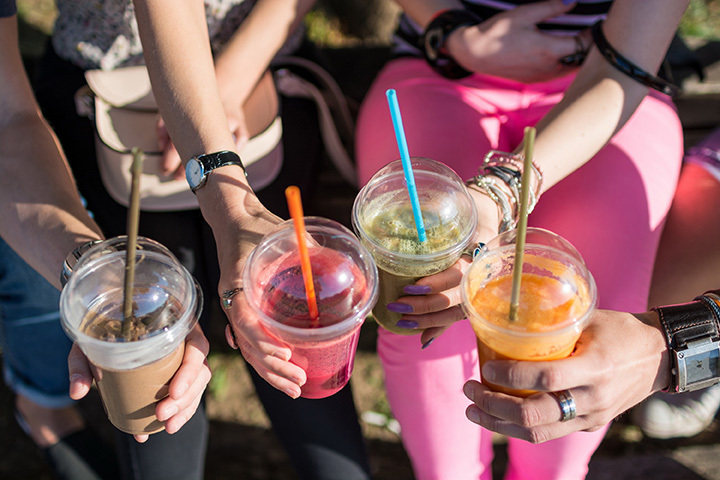 No matter how you like them, these 10 best smoothie places in Alabama won’t disappoint. This local family-owned and operated juicery offers much more than fresh juices. From smoothies to acai bowls, everything on their menu is 100 percent raw and filled with goodness. They’re the only source around for unpasteurized chocolate, vanilla, and almond milk (the almond milk is one of the ingredients in their wholesome smoothies). This fun little eatery gives a whole new meaning to the words “fast food.” Offering fresh, delicious smoothies, you can get a high-quality, healthy smoothie for a snack or meal faster than most drive-through fast food places. In addition to their smoothies, they also serve an appetizing selection of sandwiches, wraps, and salads you won’t feel guilty about. Alabama’s premium juice bar, this place is completely focused on all things that taste good and are good for you. Handcrafted smoothies are made with farm-fresh ingredients that pack a whole lot of nutrition into every sip. Every smoothie looks as good as it tastes, and you’ll enjoy them down to the last slurp. Organic Harvest isn’t your average grocery store. For starters, they have a smoothie bar inside the store so you can sip and shop for the healthiest foods to fill your fridge. Every smoothie is healthy and delicious, offering fresh ingredients straight from the farm. Farm bowl and Juice company has everything going for it. They partner with local farmers within a 60-mile radius to bring you only the freshest top-notch ingredients available. They even have a menu That's not only kid friendly but also kid approved. Fast service and a variety of flavors are what make this smoothie shop so special. It’s the type of place those chain stores only wish they could be. Fans love the fact that they list out all the ingredients and calorie counts so they always know exactly what they’re getting. Located in The Pantry is one of the best things to ever happen to the Birmingham metro: a farm-fresh juice and smoothie bar. Every smoothie is unique, featuring only the most wholesome ingredients and providing you with plenty of options. Take your pick of two different sizes to sate your healthy cravings. Serving up fresh fruit smoothies, there’ no better complement to a day at the beach. Grab a small plate of light, healthy eats to go with your smoothie, or just get a smoothie for a low-cal snack or meal. Either way, you’ll be glad you did. Having now grown to three locations in Alabama, this place is the ideal pit stop for an invigorating smoothie. Their masterfully crafted drinks come in a variety of flavors to satisfy any appetite. In addition, they also have a full line of specialty smoothies that's like happiness in a cup. In Hawaii, Ohana means family and that's exactly how you'll feel when you walk through the door here. This Hawaiian-themed smoothie bar is the best of its kind thanks to its selection, quality, and value. From fruit smoothies to protein-packed drinks to green-infused beverages you won't find a better smoothie place anywhere else.